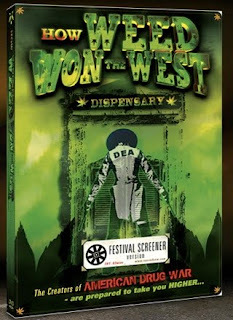 from infowars: In the follow-up to his ground-breaking documentary ‘American Drug War,’ filmmaker Kevin Booth traces the fight against Federal drug regulation in the State of California. A public majority has spoken and said yes to states rights, allowing for the use of medicinal marijuana and opening up a new front in controversial medicinal ‘dispensaries.’ While users herald the freedom of legally-licensed “weed,” powerful forces at the DEA and law enforcement haven’t given up their federal enforcement power yet. Many dispensaries have been raided, targeting their distribution of marijuana and challenging their authority to rise into legitimate business. from kurt nimmo: A casual glance at the so-called war on drugs reminds one of Einstein’s famous quip — insanity is doing the same thing over and over again and expecting different results. Arresting and throwing recreational drug users in prison — primarily for possessing and smoking marijuana — will not win the supposed war. It simply creates a class of criminals where none existed before. 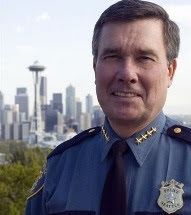 from raw story: It was not long ago when President Barack Obama's new drug czar, former Seattle police chief Gil Kerlikowske, swept into Washington, D.C. and declared the "drug war" a public policy relic. The Obama administration, he said, would move toward handling drug addiction as a medical problem, moving away from the brash enforcement tactics that hallmarked prior administrations. "We're not at war with people in this country," Kerlikowske told The Wall Street Journal in May. However, if the Office of National Drug Control Policy's (ONDCP) budget for fiscal year 2011 is to be believed, Kerlikowske was full of hot air. According to 2011 funding "highlights" released by the ONDCP (193kb PDF), the Obama administration is growing the drug war and tilting its funds heavily toward law enforcement over treatment. 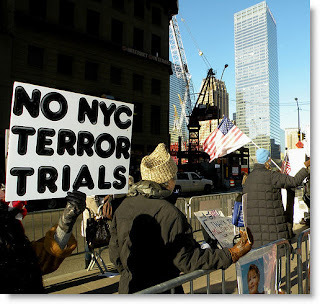 from nytimes: The Obama administration on Friday gave up on its plan to try the Sept. 11 plotters in Lower Manhattan, bowing to almost unanimous pressure from New York officials and business leaders to move the terrorism trial elsewhere. from afp: US lawmakers Tuesday unveiled plans to block public funding for US-based trials involving Guantanamo detainees who are accused of plotting the September 11, 2001 attacks. Republican lawmakers Frank Wolf and Lindsey Graham joined forces to introduce legislation which "would explicitly block this dangerous and wasteful trial from any domestic civilian court," Wolf said. They also won support from Democrats Jim Webb and Blanche Lincoln, as well as independent senator Joe Lieberman. If approved, the legislation would stop the Justice Department from using public funds to try the alleged mastermind of the 2001 attacks, Khaled Sheikh Mohammed, and his four co-accused, in domestic US courts. from history commons: After a hiatus of a couple of weeks, dozens of new entries have been published in the 9/11 Timeline over the last few days. The largest chunk of them covers events at the DC Air National Guard, based at Andrews Air Force Base, on the day of the attacks. Initially, officers assumed that the first crash into the WTC was an accident. 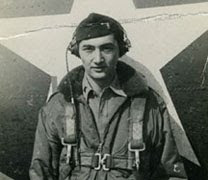 However, after the second crash, Andrews learned the Secret Service wanted fighters launched. Although the Secret Service then said it didn’t on the phone, pilots started overwriting recent exercise data on their flight disks... There are also several new entries about Osama bin Laden, for whom al-Qaeda offered to arrange a TV interview in October 2001. After the interview had been done, western intelligence naturally managed to come into possession of it before it was broadcast by Al Jazeera. We also have some more about bin Laden’s health. He died of lung problems in December 2001, was buried in an earthquake in 2005, and expired in Iran in 2006, all of which makes his near-death condition in 2007 remarkable. from avstop: The FAA has established a “Temporary Flight Restriction” (TFR) around Dolphin Stadium in Miami, Florida for the Super Bowl XLIV on February 7, 2010. NORAD, North American Aerospace Defense Command fighters will be busy well before Super Bowl Sunday preparing to protect the skies around the stadium in Miami for game day. “Exercise Amalgam Virgo 10-Miami” will be held Thursday in the Greater Miami area to allow interagency partners the chance to practice temporary flight restriction violation procedures. “Amalgam Virgo 10.1-Miami” comprises a series of training flights held in coordination with the Federal Aviation Administration, Customs and Border Protection, Civil Air Patrol, and CONR’s Eastern Air Defense Sector. Residents in the area can expect flights to begin around midnight Thursday and continue for about two hours early Friday morning. “This exercise in Miami is an effective way to ensure all interagency partners are prepared for game day,” said Maj. Gen. Garry Dean, CONR commander. from microsoft press pass: The Miami-Dade Police Department (MDPD) and Microsoft Corp., with assistance from Analyst International Corporation (AIC) and Environmental Systems Research Institute (ESRI), are coordinating intelligence efforts surrounding Super Bowl XLIV by enhanced information sharing and intelligence gathering, made possible through a new fusion center collaboration solution. Leveraging information across multiple jurisdictions at the local, regional and national level, justice and public safety officials responsible for securing Super Bowl XLIV will use Fusion Core Solution to more effectively identify and help prevent threats potentially posed by organized crime, gangs, drug cartels and terrorists. from trail blazers blog: President Barack Obama hosted a pair of Bushes this morning in the Oval Office: former President George H.W. Bush and his son, former Florida Gov. Jeb Bush. Two weeks ago, Jeb's brother, former President George W. Bush, was at the White House talking about Haiti relief with Obama and ex-President Bill Clinton. The White House described it as a social call, but feel free to speculate. Jeb Bush's presence was unexpected - the White House hadn't said anything about him being invited. It's all very... bipartisan. 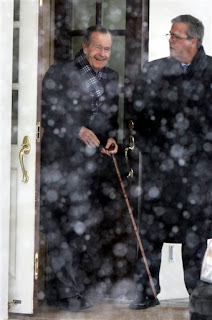 The Bushes were at the White House for just over a half-hour, emerging in a driving snow that over the next few hours will blanket the capital with several inches of fluff. "Good meeting, good meeting," the elder Bush, 85 and walking with a cane, said in response to a question called out by a reporter. Bush the elder hosted Obama at Texas A&M a few months back, at an event celebrating community service/volunteerism and marking the 20th anniversary of his Points of Light project. from wikinews: American novelist J.D. Salinger, author of The Catcher in the Rye, has died of natural causes at the age of 91. His son confirms that he died in his New Hampshire home yesterday. 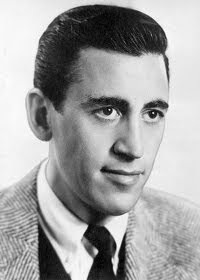 Salinger was born in New York City in 1919. The author had famously remained a recluse since 1953, shortly after the publication of The Catcher in the Rye, his most famous work. He very rarely entered the public eye after that date, emerging only for infrequent interviews and lawsuits. He never responded to fan mail. His magnum opus was published in 1951, and tells the story of Holden Caulfield, an alienated, rebellious seventeen year-old and his expulsion from an exclusive prep school, but is now known as one of the most influential books of the 20th century. Featuring on Time's top 150 books of all time, it has been translated into many languages, and sold more than 65 million copies worldwide. It was also carried by Mark David Chapman, when he gunned down John Lennon in 1980. Apart from The Catcher in the Rye, he has published a few other books, none of which have enjoyed such success. 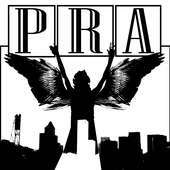 These include 9 Stories, Franny and Zooey, and Raise High the Roof Beam, Carpenters and Seymour: An Introduction. Salinger's last work, the novella Hapworth 16, was published in The New Yorker in 1965. 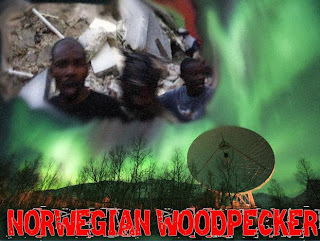 Suspicious deaths, DARPA's DNA & the dangers of biofuels are the focus of this latest episode of the New World Next Week. 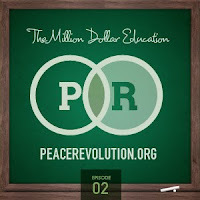 James Corbett of CorbettReport.com & James Evan Pilato of MediaMonarchy.com give you the rundown on these stories, as well as the supplemental & contextual connections to help us make sense of what's really going on in this new world of disorder. from nytimes: Amid recession, high unemployment and tight household budgets, voters in Oregon have agreed to raise taxes on people with higher incomes, to pay for public education and social services. One of only five states with no sales tax, Oregon has long kept its corporate taxes relatively low. A statewide cap limits how much property taxes can rise, and before Tuesday voters had not approved a statewide income tax increase in nearly 80 years. Each of the two tax proposals, Measures 66 and 67, won decisively, in part because of support from large labor unions and because of how the taxes are directed. from latimes: Ben Bernanke today won a second term as chairman of the Federal Reserve. In a debate that was more about popular anger over the economy and government bailouts than about Bernanke's technical qualifications, the Senate voted 70-30 to confirm Bernanke... "Bernanke fiddled while our markets burned," said Sen. Richard Shelby, a conservative Republican from Alabama, complaining that Bernanke did not see the economic crisis. No Fed chairman has ever been rejected by the Senate. Paul Volcker in 1983 was confirmed for a second term by a vote of 84-16.
from cnn: Noted author and social activist Howard Zinn died of a heart attack Wednesday while traveling, his daughter, Myla Kabat-Zinn, said. Zinn, author of "A People's History of the United States," was 87. Kabat-Zinn said her father, who lived in Auburndale, Massachusetts, died while traveling in Santa Monica, California. "A People's History of the United States," first published in 1980, tells a history not often in seen in other books - from the perspective of those not in a seat of power. Kabat-Zinn said of her father that he lived a "very full and exciting life" and that there were many social issues that were very important to him. Above all, she said, her father believed that there is no "just war." Zinn's death on the day of President Obama's first State of the Union address was underscored by his contribution to a recently released special from The Nation magazine called "Obama at One." "I've been searching hard for a highlight," he wrote. "The only thing that comes close is some of Obama's rhetoric; I don't see any kind of a highlight in his actions and policies." 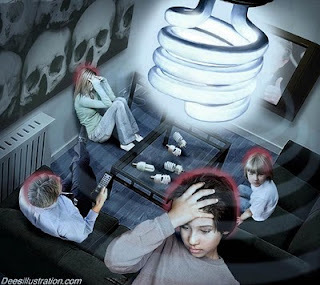 from natural news: Compact fluorescent light (CFL) bulbs have become all the rage over the past several years, touted by many as the preferable "green" way to light a home, save energy, and promote environmental responsibility. While they may use less energy than traditional incandescent bulbs, CFL bulbs are filled with toxic mercury that, when disposed of, contaminates landfills and the environment. A report released in 2008 from the Maine Department of Environmental Protection revealed that when a CFL bulb is broken, it can release dangerously high levels of mercury into the air. from guardian: It was an event billed as the smackdown between the baddest coal baron around and the environmental heir to the liberal Kennedy legacy, live on stage and in the heart of Appalachia mine country. Stage right, appropriately, was Don Blankenship, chairman of Massey Energy, a meaty impassive presence, his Kentucky drawl never picking up speed or volume. On the left, Robert F Kennedy Jr, who has spent his life defending waterways, making lawyerly argument out of staccato bursts of statistics. The pairing at the University of Charleston was the perfect personification of America's deep divides: Republican versus Democrat; old industry v new, global warming denier v impassioned advocate for climate change laws. The battle in Thursday night's debate was over mountaintop removal mining, which blows the tops off mountains to get at thin seams of coal and of which Blankenship is the most notorious promoter. "This is the worst environmental crime that ever happened in our history," began Kennedy ... "It's a bunch of rhetoric and untruths," [Blankenship] returned. "This industry is what made this country great. If we forget that, we are going to have to learn to speak Chinese." Or accept early deaths, he argued, noting that expectancy in Angola is 39 years. from business insider: The mutated version of the H1N1 Swine Flu is truly wrecking havoc throughout Eastern Europe, with the Ukrainian death toll now clocking in at 1005 dead, according to Before It's News. And to make matters worse, over 250,000 have been hospitalized over the deadly flu strain; that number is set to rise. from climategate.tv: The scientific unit at the heart of the climate change emails scandal broke the law by hiding data from sceptics. Researchers at the University of East Anglia breached the Freedom of Information Act by refusing to comply with requests for the data. The decision by the Information Commissioner’s Office comes months after controversial emails from the university’s Climatic Research Unit, a global leader in its field, were released on to the internet. In one email the head of the unit, Professor Phil Jones, asked a colleague to delete emails relating to a report by the UN’s Intergovernmental Panel on Climate Change. 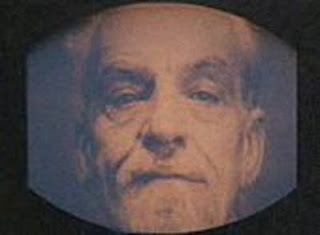 In another message, Professor Jones told how he had persuaded the university to ignore Freedom of Information requests from sceptics. Others showed how an eminent climatologist admitted it was a ‘travesty’ scientists could not explain a lack of global warming in recent years. The Information Commissioner’s Office yesterday revealed the university had failed in it duties under the Freedom of Information Act. from usatoday: The four men accused of trying to tamper with Democratic Sen. Mary Landrieu's office phones share a common experience as young ideologues writing for conservative publications. Federal authorities said two of the men posed as telephone workers wearing hard hats, tool belts and flourescent vests when they walked into the senator's office inside a federal building in New Orleans on Monday. The other two were accused of helping to organize the plan. The most well-known of the suspects is James O'Keefe, a 25-year-old whose hidden-camera expose posing as a pimp with his prostitute infuriated the liberal group ACORN and made him a darling of conservatives. 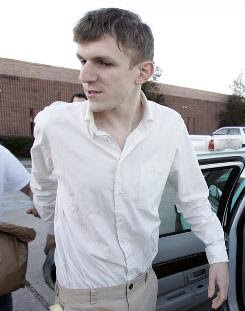 O'Keefe and suspect Joseph Basel, 24, formed their own conservative publications on their college campuses. A third suspect, Stan Dai, 24, served as editor of his university's conservative paper and once directed a program aimed at getting college students interested in the intelligence field after 9/11. And the fourth suspect, Robert Flanagan, 24, wrote for the conservative Pelican Institute and had recently criticized Landrieu for her vote on health care legislation. O'Keefe was a featured speaker at a Pelican Institute luncheon days before his arrest. Flanagan is the son of the acting U.S. Attorney for northern Louisiana. 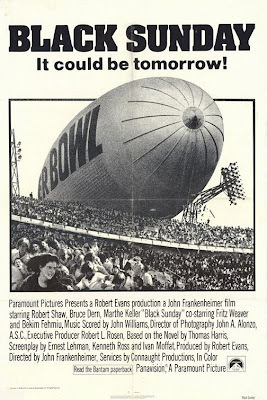 It's not yet clear whether the plan was a prank intended to be captured on camera or a more serious attempt at political espionage, as claimed by state Democrats who dubbed it "Louisiana Watergate." from bbc: The police commander in charge of security at the World Economic Forum in Davos has been found dead in his hotel room, local authorities have said. 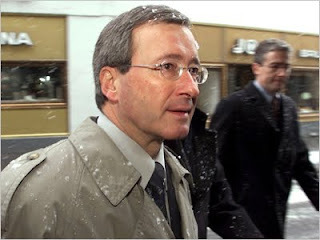 Markus Reinhardt, 61, had been head of police in the Swiss canton of Graubunden since 1984. "All indications point to a suicide," local police said in a statement. Police captain Marcus Suter will take over the security operation in Davos, where the five-day forum starts on Wednesday. Some 2,500 business and political leaders from around the world are expected to attend. 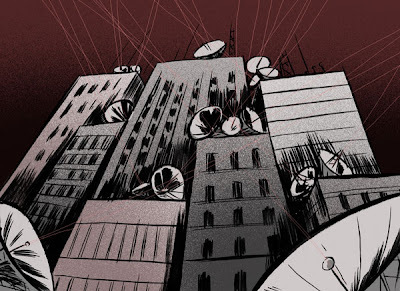 mark burrier, an amazing illustrator & designer that i know from back east, has a new website called rare words dot org - a "collaborative blog where you submit words or a phrase that become the creative starting point for drawings." 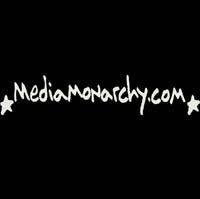 so, of course, i submitted 'media monarchy' for possible illustration; i'm happy to share his work with you ... thanks, mark! from raw replay: President Barack Obama greeted ABC World News anchor Diane Sawyer with a kiss to begin their interview Monday. But an awkward moment soon followed when Sawyer asked the president if the job was ever so difficult that he would consider not running for a second term. “I’d rather be a really good one-term president than a mediocre two-term president,” said Obama. This video is from ABC’s World News, broadcast Jan. 25, 2010.
from bbc: A tape said to be from al-Qaeda leader Osama Bin Laden has warned US President Barack Obama there will be more attacks if the US continues to support Israel. In the newly released audio tape aired on al-Jazeera, Bin Laden says the US will never live in peace until there is "peace in Palestine". The authenticity of the audio tape has not been verified. The message claims al-Qaeda was behind the 25 December attempt to blow up a passenger plane bound for the US... The voice recording says that the message is from "Osama to Obama". video: where in the world is osama? from guardian: The threat of international terrorism to the UK was raised from substantial to the second highest level of severe last night, meaning an attack is "highly likely". Alan Johnson, the home secretary, said there was no intelligence to suggest an attack was imminent. The escalation reversed a decision in July to downgrade the likelihood of a terror attack from "severe" to "substantial". Johnson said the change was not ­specifically linked to the increased threat from international terrorism following the failed Detroit plane bombing on Christmas Day or to any other incident. from nytimes: Osama bin Laden, the leader of Al Qaeda, blamed the United States and developed countries for not halting climate change and said that the global economy should immediately abandon its reliance on the American dollar, according to an audiotape released Friday by the broadcaster Al Jazeera. “Talk about climate change is not an ideological luxury but a reality,” Mr. bin Laden was quoted as saying in a report on Al Jazeera’s English-language Web site. “All of the industrialized countries, especially the big ones, bear responsibility for the global warming crisis.” The authenticity of the tape could not be immediately confirmed, and Al Jazeera, which is based in Qatar, did not say how it had obtained the message. 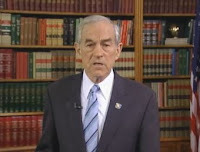 from steve watson: Texas Congressman Ron Paul has delivered a riveting “State of The Republic” address on his Campaign for Liberty website, orating his thoughts on where the U.S. stands as a nation and what the future holds. Paul warns that if the country continues along the course it is on, we will witness a three stage slide into social and political chaos, beginning with the current financial crisis, a coming dollar crisis, and culminating in mass unrest. from webster tarpley: In the aftermath of the Massachusetts Senate vote last Tuesday, we now have a concrete fighting chance to block the reappointment of Wall Street puppet Ben Bernanke as the chairman of the Federal Reserve Board of Governors by preventing his Senate confirmation next week. This afternoon, Bernanke’s support was eroding hour by hour. The defections from the Bernanke camp feature Democratic senators who are up for reelection this coming November. from corbett report: The war on consciousness continues in the battlefield of the mind. Words are our weapons and we are being disarmed. Fight back by equipping yourself with the infowarrior's best friend: vocabulary.